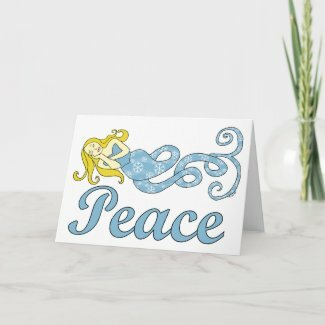 Today I am featuring my Peace Mermaid Holiday Dreams card. 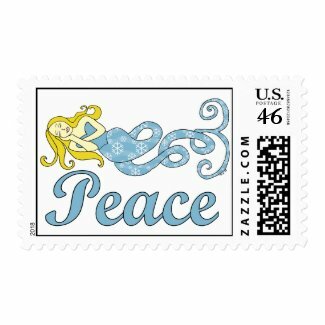 It features a peacefully sleeping mermaid on the front and inside it reads, "May All Your Holiday Dreams Come True" (or personalize with your own message). 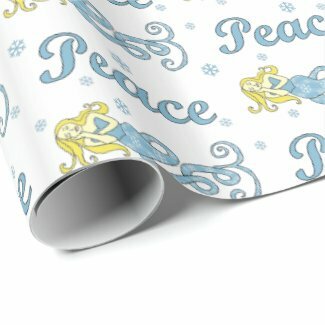 Hippie and I are big fans of peace and many of our designs feature the word or the sign. 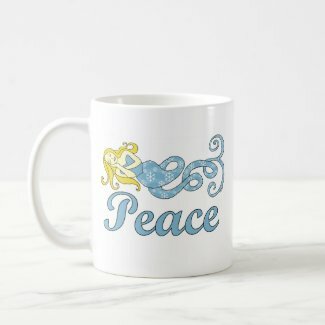 In some ways I suppose they both represent the sixties/seventies era or a political ideal but peace has always been more of a personal thing for me. 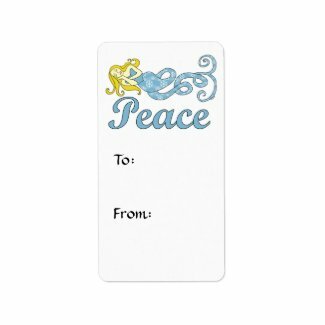 I think of peace as something I practice, an active process of making decisions that considers the greater good. That doesn't mean my response to every conflict is to light incense, chant or go do some yoga. It just means that I try to do the right thing and that often means taking some quiet time to figure out what the right thing to do is. Of course I don't always succeed. I can get caught up in my own selfish concerns and react hastily or defensively at times. What I am learning is that, when I behave that way, the person I most hurt is myself. 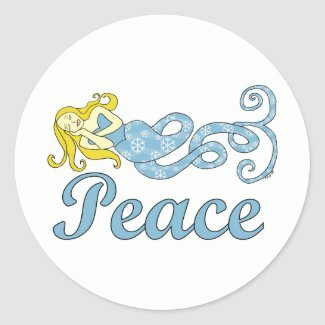 What I am learning is that the practice of peace is not just a way of being kind to others but also a way of being kind to myself. I can't think of a more fitting sentiment for the Holiday Season than that. 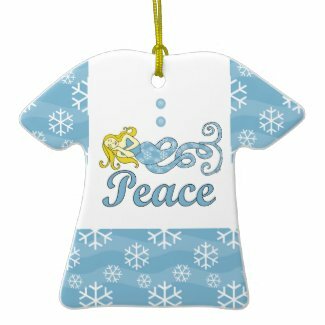 Design personalized ornaments on Zazzle.